A watershed moment in the fight to protect our forest. Climate change is putting great stress on the places we love in Mt. Hood National Forest. Sensitive species like pika, Oregon spotted frog, and coho salmon require specialized habitat and cool temperatures to thrive. This water-rich, mixed-conifer ecosystem sequesters more carbon than most national forests in the nation, meaning that one of our region’s greatest assets for combating climate change is to keep these trees in the ground. 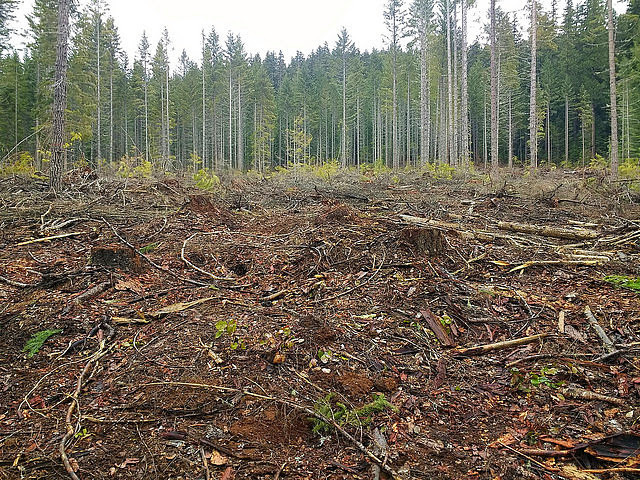 This forest ecosystem is already stressed from a century of heavy logging and road building. It’s time for commercial logging to take a backseat to restoring ecosystems so the forest can survive an increasingly unstable climate. Right now, the agency is hiring a new Forest Supervisor for Mt. Hood National Forest. Under this new leadership, Mt. Hood could become a model of climate smart management that prioritizes the ecosystem services that our communities need most. Protect all old-growth and mature forest for the valuable wildlife habitat it provides and tosecure carbon stored in the forest. Increase protections for drinking watersheds and riparian areas across the forest to the greatest extent of the law and reintroduce keystone species which build climate resiliency, such as beaver and wolf. Identify strategies for managing national forest lands to promote ecological resources and stewardship opportunities that are important for tribes in the Pacific Northwest region. Improve transparency and meaningful public participation Federal actions to addressEnvironmental Justice in minority populations and low-income populations through implementation of 1994 Executive Order 12898. Prioritize restoration work to decommission unnecessary roads to improve hydrological function and protect aquatic habitat. Update fire management policies to align with the best available fire ecology science, allow fires to burn in the backcountry, and focus fire management resources on areas near homes and infrastructure. Improve recreation access with road-to-trail conversions, updating interpretive signage, and maintaining roads to popular recreation areas. Mt. Hood Forest Supervisor is not a publicly elected position, but the responsibility of managing public lands certainly makes this a position of public service. Bark looks forward to working with the new Forest Supervisor to ensure that the public’s voice is heard! To learn more and take action to help change the direction of management in Mt. Hood National Forest,let us know how you would like to be involved, here.